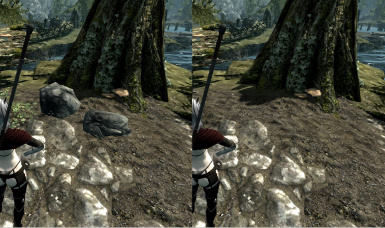 PHR_RE reduces visuals and removes intrusive particle effect to give you that extreme performance boost. NOTE: Mod has been removed due to conflict with rules. Please see AHGTISPAS instead. 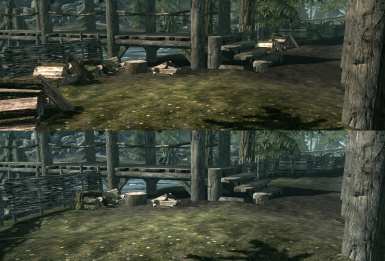 Mod was modified using TES5Edit and Merge xEdit Script. 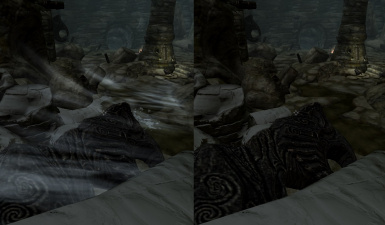 This mod helps with the game performance so low-end PCs can run the game better and suffer less from CTDs. 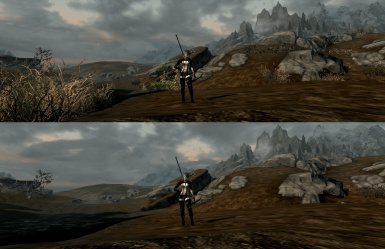 This mod removes/lowers the details of cloud, particles and many more!. This mod is a remaster of the PHR MOD, the author decided to abandon it so I made a better version using his files. - Less lag, super performance. - Makes cloud smaller and less detailed. 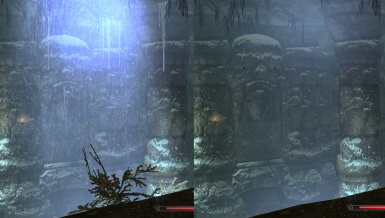 - Remove Interior and Exterior fog. - Remove Field & Dungeon Smoke. - Remove Field & Dungeon Mist. - Remove GRASS! INCOMPATIBLE WITH FLORA MODS. 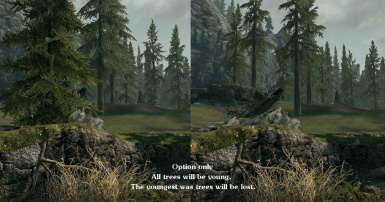 - Remove uninteractable vegetation! INCOMPATIBLE WITH FLORA MODS. - Remove woodpile, vines and driftwood. - Works with Vanilla and Legendary Edition. - Scripted NMM and MO installer. 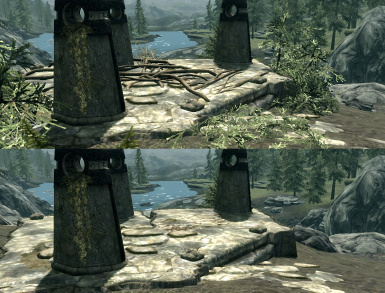 This mod is about removing visuals, mist remover is obviously incompatible with mist enhancers, exterior fog incompatible with fog enhancers and so on. To fix any incompatibilities, use the NMM/MO install and uncheck any files that you do not want to install. Removed all ITMs and UDRs causing more stability and less CTDs to occur. The AIO version of this mod was MERGED for neat and organizational purposes. Organized in a neat NMM/MO installer. Mod doesn't really need to be high up on the list, if you get any issues, move it at the bottom. You can also try and use LOOT to set your load order for you. 2. Extract wanted .esp to *Skyrim*\Data folder. 1. Download Mod using a MANAGER. 2. Make your choices with the scripted installer. I recommend you use MO instead of NMM since it cleaner, better and more efficient to use and does not allow overwrites. I will not take responsibility for any save game that breaks.